Recognizing the hard work that your employees do every day has a number of benefits for small businesses. Forbes magazine explained that companies that make a point to thank their employees have better atmospheres and a 30 percent lower turnover rate. 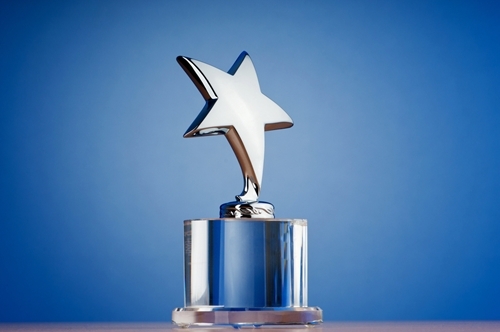 Many small business owners may think that a recognition program will exceed their budget, but it doesn’t have to be based on monetary rewards – small acts of thanks or promotional items are widely used for recognition. Use the following steps to implement a fun and effective employee recognition program that will create strong bonds between your staff and keep everyone happy in the workplace. If you already have a recognition program in place, but it revolves around staff seniority, it’s time to upgrade your practices. Forbes explained that these types of reward systems have no real value for employees or the organization. Sure, you can have a celebration on an employee’s one-year anniversary, but don’t give rewards for simply sticking around. Instead, a recognition program should emphasize specific behaviors and results. Make a point to thank your staff when they solve a tough problem, sign a new client or deliver exemplary customer service. This will motivate your employees to do their jobs to the best of their abilities, rather than to stay with the company but produce mediocre work. A successful staff recognition program is a collaborative effort. Get your employees engaged in the process from the very beginning, and make the program a company-wide effort. The first step is to have employees brainstorm methods of selection and the various rewards. “Sit down with employees individually to find out what they prefer; ask them how they’d like to be recognized,” Saunderson said to Open Forum. Some employees may prefer public recognition, like at a staff meeting or on a bulletin board, while others would like a personal email. Use their feedback to develop an effective reward system that fits your budget and that people can get excited about. If your company is big enough, Open Forum suggested appointing a recognition committee. Staff who participate can be involved in altering the program, selecting recipients and tracking employee milestones. All staff should be involved in the recognition process. When managers are the ones choosing the employees of the month, quiet team members might get overlooked. Peer evaluation will help ensure that the most deserving employees are being recognized. While your managers or committee members can suggest potential rewards, ultimately it will be up to you to choose prizes and ways to give thanks. For smaller weekly events, a special shoutout or word of thanks can go a long way. You can let the employee take a longer lunch break, or write a company-wide thank-you email. For day-to-day recognition, you can give out cute Promotional Hashtag Stress Relievers. However, you might want to offer something more substantial for events like employee-of-the-month. Jade Crystal Scroll Recognition Awards are an affordable and impressive way to present awards or celebrate big milestones. They’re easy to display on a desk or wall, so the recipient can bask in their limelight all year round. The Orbit Honor Award is another great option that’s easy to personalize and comes in a variety of colors.